This is the playspace that represents the actual "table" of your game. It's where you can act out RPG combat with minis on a battlemap, deal a hand of cards and throw around some poker chips, move meeples around a gameboard or just display backdrop pictures to set the right mood. There's two image element types that display on The Tabletop: Background Images and Tokens. Background Images are any graphics that you don't plan to move or interact with while playing your game. This would be images like the game board of a boardgame or the terrain of a battlemap. You will want to keep these images on the Map & Background Layer. Tokens are any image that you plan to move around the Table. This would include images like RPG minis, board game components (treasure chests, meeples, etc), poker chips, vehicles etcetera. An image that is to be treated as a Token must be placed on either the Objects & Tokens or GM Overlay Info Layer. 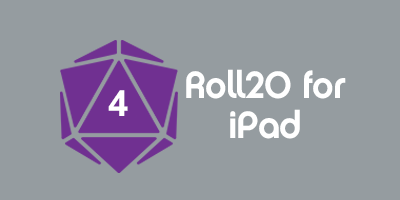 PNG files with transparent elements will display correctly in Roll20. There are two ways to place images onto The Tabletop: direct upload or an image search. To use images from your own personal files, click on an image from your computer files and drag it directly onto The Tabletop. This will initiate an upload of that image to Your Art Library. When the upload is complete, it'll display the image on The Tabletop. If you would prefer to batch upload a series of images at once, you can do this from the Your Art Library window that you can access from the Art Library tab of the Sidebar. There is a 10 files/5 MB file size per batch limitation to batch uploads. This method is accomplished by going to the Art Library tab in the Sidebar and running a search for a desired art element. When you find an image that you wish to use, click the thumbnail from the search and drag it onto The Tabletop. You can pan around your Page by either using the scroll bars to the right and bottom of the Tabletop OR click and drag with the right mouse button. You can zoom either by using the Zoom Tool from the Toolbox OR hold down alt/option while scrolling with the mouse wheel. A GM can force all their players to view a certain area of the map by holding the Shift key while Pinging. This is very helpful if you have a very large dungeon map to explore. When a new Page is loaded, the Tabletop's view is automatically set to the upper left hand corner of the Page. If you have the Fog of War enabled, your players might be greeted with their entire Tabletop filled with black fog. Instead of the players panning around the Page to locate their tokens, a Shift Ping leads your players right where they need to be. This page was last modified on 25 February 2017, at 09:19. This page has been accessed 130,223 times.